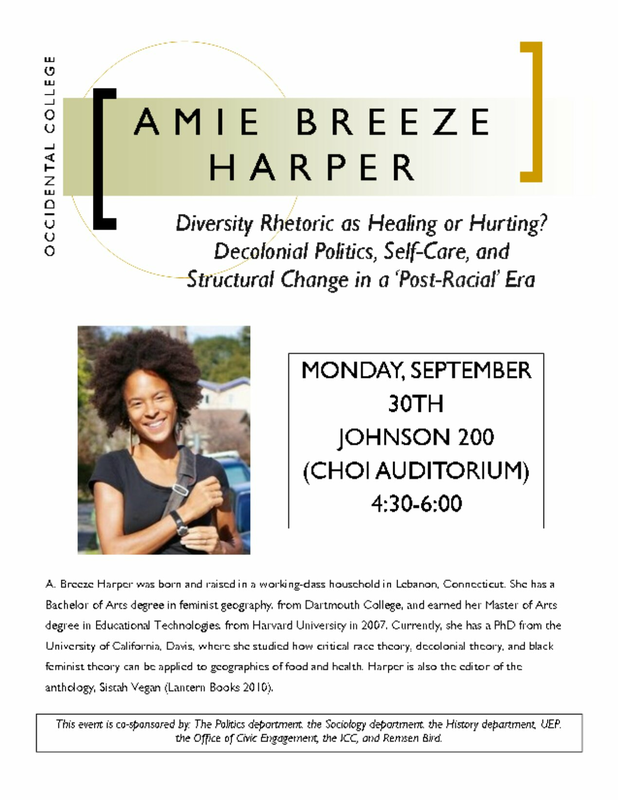 I gave a talk at Occidental College Sept 30 2013, 430-6pm. It was called Diversity Rhetoric as Healing or Hurting? Decolonial Politics, Self-Care, and Structural Change in a ‘Post-Racial’ Era. I video recorded it and it’s been uploaded to this blog in 3 segments (see below).